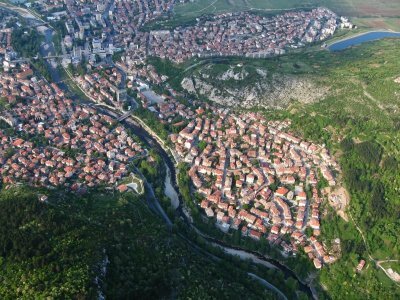 The Municipality of Asenovgrad occupies the southeast part of the Province of Plovdiv. It is situated along the two banks of the Assenitsa (Chepelarska, Chaya) River. It covers a small part of the Thracian Lowland to the north, and encompasses spacious areas of the Rhodope Mountains to the south, as a result of which a substantial part of the terrain is strongly indented and inclined. The municipality’s territory is 615 km2. The population of the municipality is approximately 68,000 inhabitants. The municipal centre Asenovgrad is the largest town in the Rhodopes and the second largest in the Province of Plovdiv. Asenovgrad joined the Covenant of Mayors in 2011 with the aim of promoting energy efficient solutions, the use of renewable energy and environmentally aware citizens. The main priority areas of Asenovgrad’s Sustainable Energy Action Plan are: Energy savings in buildings through building refurbishment – mainly municipal and residential buildings; street lighting refurbishment; utilisation of renewable energy – fuel switch from heavy fuel oil to biomass (wood chips); utilisation of available wind potential; utilisation of available solar potential. Solar energy: Asenovgrad Municipality has a potential between 30-60 MW, due to the ability to utilise roof space to generate electricity and/or hot water for domestic use. Wind energy: the potential of wind in the Municipality of Asenovgrad is assessed up to 250 MW. In order to utilise it to the full extent there is a need to install ICT equipment for detailed measurements in specific areas that are suitable for the deployment of small-scale wind turbines – these are places in the mountainous part of Asenovgrad Municipality at an altitude of more than 1,000 meters above sea level.